The twelve ancient Hebrew tribes were united under the Kingdom of Israel for about 80 years of their existence: 40 years under their first King, Saul, and 40 years under David’s son, King Solomon. Subsequently, the tribe of Judah split for good from the other eleven tribes. It became the Kingdom of Judah or the Southern Kingdom, while the other eleven tribes became the Kingdom of Israel or the Northern Kingdom. They remained distinct entities until their demise. Israel’s fate was sealed in 721 BC and Judah’s in AD 70. 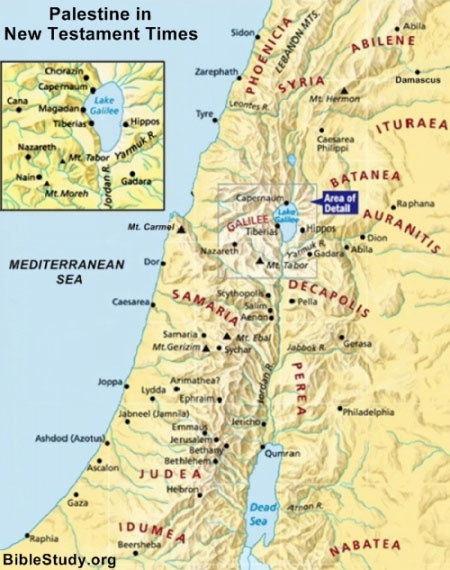 Ten of the tribes gathered under Israel and settled mainly the Samaria region, with Samaria City as the Kingdom’s capital. However, some of the tribes established themselves peripherally around Samaria – in Galilee (Naphtali and Asher) and on the eastern side of the Jordan river (Reuben, Gad, and half the tribe of Manasseh). Judah settled what would become known as Judah or Judea, with Jerusalem as its capital city. The tribe of the Levites had no inheritance and lived in different towns in the Kingdom of Israel as commanded by God. That is until around 975 BC when Jeroboam, King of Israel, kicked out the Levites who went to live in Judah. Israel always did evil, but Judah mostly pleased God by helping the Levites make converts throughout the world, even though they did quite a poor job. God’s command for all the tribes of ancient Israel was to cross the Jordan to claim their inheritance. However, Reuben, Gad, and half the tribe of Manasseh disobeyed, and did not cross the Jordan to claim their possession. God also uprooted all those who settled in Galilee – the first group through King Solomon and the rest through King Tiglathpileser of Assyria. The tribe of Benjamin – which many erroneously think was within the tribe of Judah – had their own territory. The tribe of Benjamin was part of the northern Kingdom, and many of Israel’s kings, like Saul and Ehud, originated from there. The evildoing of the rest of Israel living in Samaria culminated under Hoshea around 730 BC, when Hoshea entered into an alliance with Egypt in order to throw off the Assyrian yoke. A ruse that failed. Assyria took Hoshea prisoner, and in 721 BC totally destroyed the Kingdom of Israel which never rose again. The Benjamites and the other remaining Hebrew tribes of Israel in Samaria lost their territories and were carried into captivity. Hence, all 10 tribes of Israel were scattered throughout the nations of the Assyrian Empire which didn’t include the Caucasus region, as many in our time are peddling in order to make converted Jews of today, who originate from there, appear Hebrews when they’re not. Out of the 12 tribes only Judah pulled through as a tribal entity with land, the tribe of the Levites sheltered therein. However, the great majority of the tribe of Benjamin escaped the Assyrian scattering, and took refuge between the shoulders of God’s anointed tribe, Judah. God allowed that as a favor to Jacob, given that Benjamin was the patriarch’s much-loved last son from his beloved Rachel. That is why, in 586 B.C., when Judah was overrun, and Jerusalem and the temple destroyed, the Benjamite refugees, along with the Judahites and the Levites, were carried captive to Babylon. Likewise, in 536 B.C., when King Cyrus of Babylon gave the edict for the Judahites to return home and rebuild the temple, the Benjamite exiles and the Levites were amongst them as well. The reason God ejected and scattered the ten Israelite Hebrew tribes out of their land was because they became identical to those other nations of the Assyrian Empire that rejected Him. In other words, they suffered the same fate as Adam and Eve whom the Almighty cast out of the garden. Similarly, there was no going back, even though the yearning to be God’s own did not go away. As a result, the scattered Hebrew tribes assimilated themselves as Judahites. That unabashed vicariousness was their way of reattaching themselves to the only Hebrew branch left standing in with God’s blessing and protection. Even the Apostle Paul embraced said assimilation. Paul, an Israelite of the tribe of Benjamin, not only identified himself as a Judahite but also as a Roman, since he was living under Roman occupation in Judah. 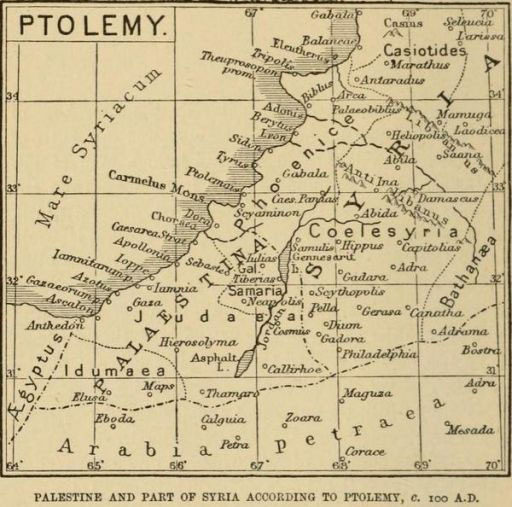 People living under Roman occupation were immediate citizens, and could freely and safely travel throughout the vast empire, as well as choosing to make their abode wherever they wished, even in Galilee or other far-flung Roman provinces as Tarsus, Cilicia – formerly an Assyrian province, home to other Israelite exiles, including many Benjamites – where the Apostle Paul was born, though he grew up in Jerusalem at the feet of Gamaliel (Acts 22:3). Therefore, by the time Jesus was born, only the Kingdom of Judah had survived and retained a contiguous territory with a King named Herod, even though Judah or Judea was part of the Roman Empire’s geographically designated federation known as Palestine, which included various adjoining territories or provinces (see Map below – provinces in red letters). The Kingdom of Israel was long gone. Judahite Hebrews living abroad (including Israelites who assimilated themselves as Judahites) made the trip every year to Jerusalem, Judah for the feast of unleavened bread, which took place right after Passover. However, in AD 70, as the entire Hebrew nation came up from all the country and the world to Jerusalem to the feast, God dispatched the Roman army to flatten Jerusalem and the Temple, and to destroy all the unbelieving Hebrews who had rejected and killed the Messiah. A disaster that is known as the Apocalypse, the Tribulation, the Armageddon, the End of the Age of the Judahite Hebrews and of the Hebrew remnants of Israel who grouped under the Judahite flag. 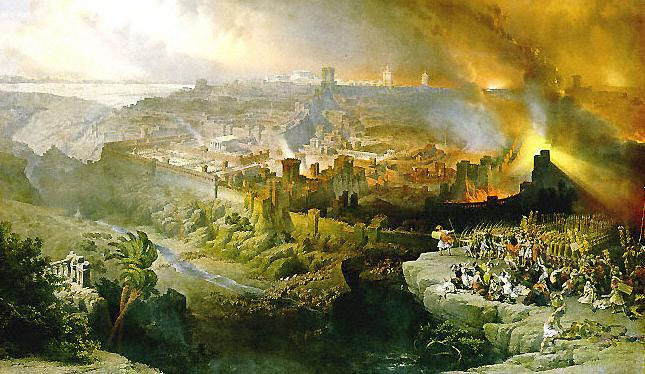 A destruction that was prophesied by Christ in the Gospels and by John in the entire book of Revelation, and was recorded by historian Flavius Josephus in The Wars of the Judahites. It was an Apocalypse that wiped out the entire Hebrew race, except for those who converted to Christianity and fled the Kingdom beforehand. The reason God eliminated the entire Hebrew race was because His gifts and calling are irrevocable (Romans 11: 28-31). So He had to irrevocably kill all the remaining non-Christian Hebrews, otherwise he would have had to keep the Old Covenant alive, and thereby undercut and undermine His Son’s New Covenant. Thus from the time of Christ’s crucifixion in AD 30 to AD 70, God gave the disobedient Hebrews 40 years to repent and accept Jesus as the Messiah. And just like during their ancestors’ 40-year wilderness wandering, God was not about to lead the unbelieving Hebrews into the promised land of the New Covenant. They all had to die so He could start anew. However, the Christian Hebrews who escaped those infernal LAST DAYS of the Old Covenant did not have the mark of the beast, and embodied “all Israel shall be saved”‘ of Romans 11:26. Their symbolic number in Revelation is 144,000 (12 tribes squared/Father & Son x 1000/many or 12² x 1000). Those with the mark of the beast were annihilated. In other words, there are NO LOST TRIBES of Israel roaming about. They’re all dead. Besides, if they’re lost, why don’t they pick up a cell phone and call someone. After all, this is the 21st century. After AD 70 there was no more Judah, just like there was no more Israel in Samaria after 721 BC. 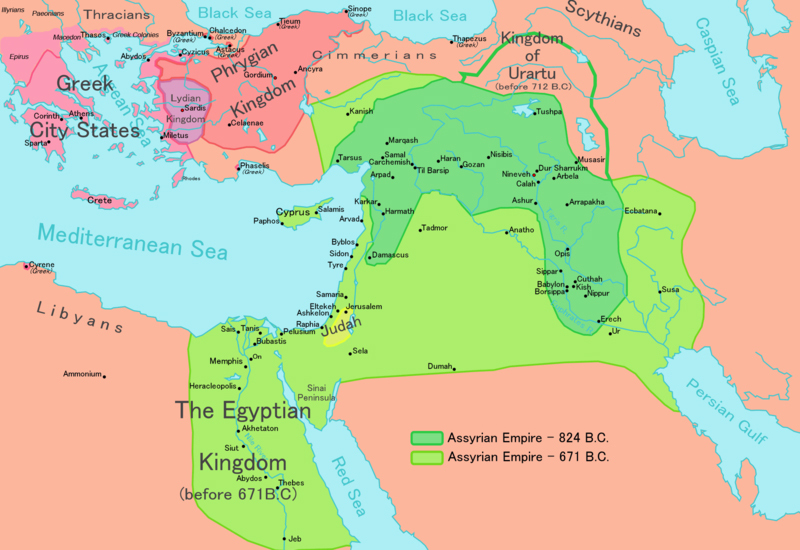 Samaria was colonized by Asar-Haddon, King of Assyria, in 678 BC. Judah was repopulated after AD 70 by Middle Easterners from the Roman Empire, including many returning Hebrew Christians who in time intermarried with other Christian Semites such as the Chaldeans, Assyrians, Aramaics, Arabs, Phoenicians, and Syriacs, who are all known today under the cultural appellation of Christian Arabs. Hence, these returning Hebrews can no longer be considered pure-bred. 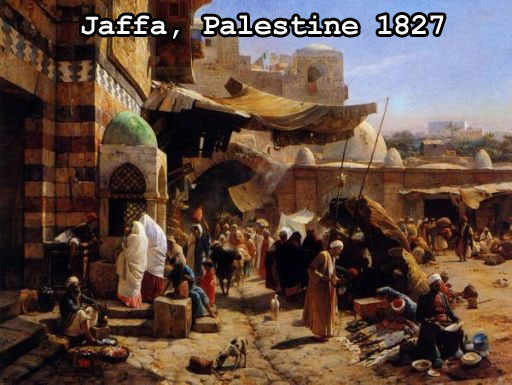 They and their Arab neighbors in the rest of Palestine rebuilt Jerusalem which was razed to the ground by the Roman Army, and which today is NOT the same Jerusalem as the one Christ walked and lived in. See Pray for the Peace of which Jerusalem? As for the 12 Hebrew tribes, they all died – their land inheritance buried with them. Tribal folks in the Middle East can immediately identify their ancestries which usually go back thousands of years. Only modern Jews are at a loss to reveal which of the 12 Hebrew tribes they belong to. That’s because they’re not Hebrews. Not one person who calls himself a Jew today can trace his ancestry to Abraham or Jacob: 1) he cannot prove which Hebrew tribe he’s from, and 2) a Jew is only a non-Hebraic convert to the faith of the Pharisees of old. a) it is not comprised of the 10 Hebrew tribes like in scriptures; b) the country’s current geographical demarcation is not as delineated by God in the book of Joshua; c) the nation would be called Judah instead of Israel, with the Levites sheltered therein, if Jews today were of the tribe of David; and d) modern Israel is made up of Jewish converts who are not Semitic descendants of Abraham. 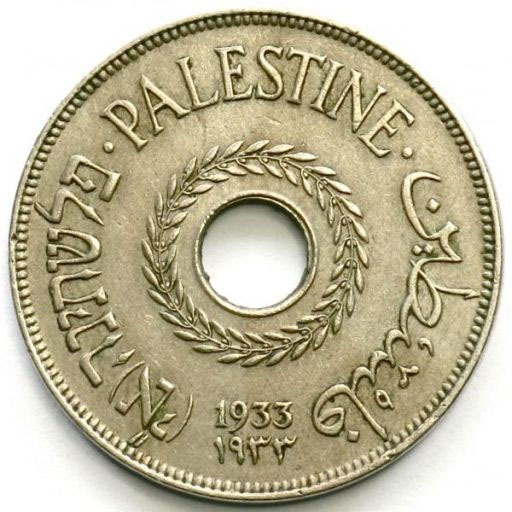 However, Palestinian Arabs are Semites, descendants of Abraham; and therefore rightful inheritors of the land, not converted Jews. From 1095 BC to AD 70, the Hebrew Kingdoms had their chance to please God and failed. So God got rid of them. It was time for a new government, the worldwide government of Christ through His new chosen people: true Christians, chosen to love, to do good, and to spread peace. “Now the number of those that were carried captive during the whole war was collected to be ninety-seven thousand; as was the number of those that perished during the whole siege, 1.1 Million, the greater part of whom were indeed of the same nation, [with the citizens of Jerusalem,] but not belonging to the city itself; for they were come up from all the country to the feast of unleavened bread, and were on a sudden shut up by an army, which, at the very first, occasioned so great a straitness among them, that there came a pestilential destruction upon them, and soon afterward such a famine as destroyed them more suddenly. “Caesar exhibited all sorts of shows in Cesarea Philippi. There, the captives were destroyed, some being thrown to wild beasts, and others in multitudes forced to kill one another, as if they were enemies. Flavius Josephus, the Judahite contemporary of John, clearly points out that Julius Caesar was the first emperor of Rome and that he was followed in succession by Augustus, Tiberius, Gaius, Claudius, and Nero (Antiquities 18; 19). We discover this enumeration also in other near contemporaries of John: 4 Ezra 11 and 12; Sibylline Oracles, books 5 and 8; Barnabas, Epistle 4; Suetonius, Lives of the Twelve Caesars; and Dio Cassius’ Roman History 5. The text of Revelation says of the seven kings “five have fallen.” The first five emperors are dead, when John writes. But the verse goes on to say “one is.” That is, the sixth one is then reigning even as John wrote. That would be Nero Caesar, who assumed imperial power upon the death of Claudius in October, A.D. 54, and remained emperor until June, A.D. 68. John continues: “The other is not yet come; and when he comes, he must continue a short space.” When the Roman Civil Wars broke out in rebellion against him, Nero committed suicide on June 8, A.D. 68. The seventh king was “not yet come.” That would be Galba, who assumed power in June, A.D. 68. But he was only to continue a “short space.” His reign lasted but six months, until January 15, A.D. 69. Thus, we see that while John wrote, Nero was still alive and Galba was looming in the near future. Revelation could not have been written after June, A.D. 68, according to the internal political evidence. Read more here. Read also: Are Jews the Israelites of the Bible? Dear Sir: An interesting article but it seems to contradict God’s command or promise regarding His remnants, the tribe if Israel and Judah, especially Hebrews. Consider what the book of Amos 9:8 and 9. God says He will save a few, that not all will perish, including the Hebrews, even if many die, if not most. That’s why so many were scattered and lost their way and eventually we all know not our ancestors or whether we are Israelites or one the Lost Tribes of Israel.. I trust That God is true and faithful to His remnants, even though We will all go through the sieve as mentioned in Amos 9:8 and 9. Thank you for your attention, God bless you, go with God. 1) There are no LOST tribes of Israel. If they’re lost, maybe they can pick up a cell phone and call someone. After all, this is the 21st century. 2) God was true and faithful to the remnants. He afforded them 40 years from 30 AD to 70 AD to repent. They didn’t. So the hammer came down on all of them. Desolate means no more. No more remnants. No more Hebrews. That chapter is done with. Today’s Jews are not Hebrews. All Hebrews are irrevocably dead. DEAD. Those Hebrews who became Christians were not killed and have since intermarried with other Semites of the area. Hence, they’re not pure-bred Hebrews. Read this article to see how Jews today came to be known as Jews when before they were not called thus. Christians need to get over this hang up called The Chosen People Syndrome. God does not have two covenants going on at the same time. Only ONE. The NEW. Besides, the Books of the New Testament now trump those of the Old Testament, even if it might appear to you as “contradictory,” though it’s not. Everything from the Old has to be filtered now through the New. God is no longer using the Obsolete Covenant. Otherwise Christ died for nothing, and worse, those who believe that there are two Covenants simultaneously at play do not believe the words of Jesus – when He said that the House of Israel was to be left desolate, which occurred in 70 AD – and are thus calling him a liar. God forbid.